[map] [street view] West of the Castleberry community, on CR-6 in Conecuh County. Co-located with WILF, licensed to Monroeville. [Studio] Street View of the studio on US-31 in Brewton. [Image] Image of an Insignia HD portable's RDS data display, showing the Radio Text and PI (call sign) fields. 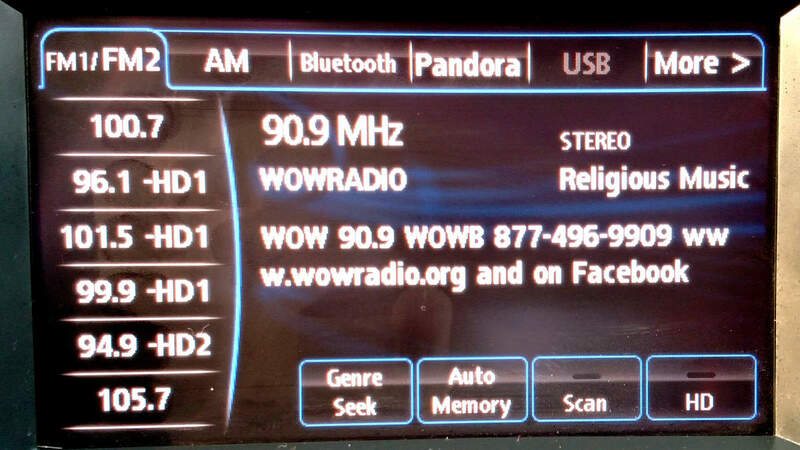 [Image] Image of the RDS text display from a Mazda's radio, showing the PS (station name), full Radio Text and PTY (format) fields. The history of this frequency in Brewton predates the current facility. See the history for WYJD for more information. This facility dates back to an original construction permit issued in December of 1994 to Maranatha Ministries Foundation (John Mathis, General Manager). Originally assigned the WGYJ-FM calls, the owners struggled to fund the construction of the station and had to request several extensions, yet the permit still lapsed in 1998. Maranatha was able to re-instate the permit that same year, and finally got the station up and lumbering under its own weight in October of 1998, now as WPHG-FM (We Proclaim His Glory). Two years later, they sold the station for $3,500 to Gateway Public Radio (Earl Thompson, President). At this time, the station ran 40 kW from a site just north of the Country Club of Brewton on US-31 and ran a southern gospel/Christian programming format. Under the ownership of Gateway, the call letters changed in December 2000 to WEBJ (We Believe In Jesus?). The station received a considerable boost in power in 2006, when Gateway relocated the transmitter site to a location near Castleberry co-located with WILF) and boosted power to 100 kW, directional. Gateway sold the station in December 2008 to Agape Educational Media, Inc. A year later, they changed the calls to WOWB and began marketing the station as "Wow! 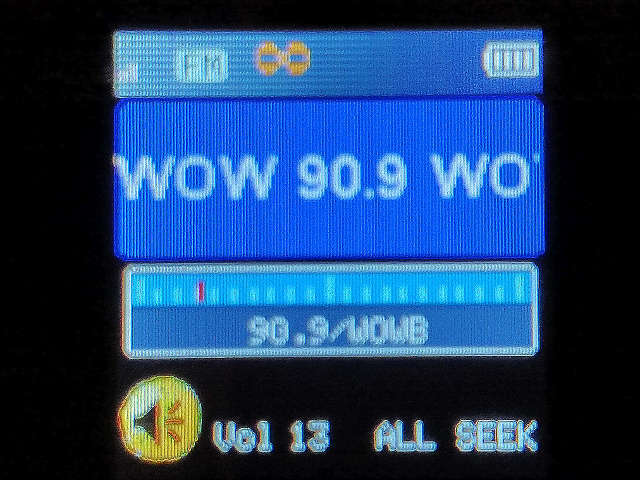 90.9". In 2009, the station won a permit to relocate the transmitter site to a spot halfway between I-65 and Flomaton on AL-113, co-located with WPFL. If built, the facility would have massively increased their coverage of the Pensacola and Baldwin County regions, but it was never built and the permit eventually expired in 2012. Despite this setup, the station has long advertised itself in the Pensacola market, despite being at best a rimshot that is only really audible during favorable atmospheric conditions. The station has also tried to get into the Mobile market without any success so far. Gateway Public Radio applied for but never won a translator permit in Tillmans Corner on 105.7 MHz. Agape acquired W214BW, a translator originally located in Citronelle, in January 2016. Their plans to move it to 90.9 MHz and relay the station have yet to come to fruition. That translator is currently listed as relaying WLOG from Markleysburg, Pennsylvania, and is located near Semmes. Its operational status is unknown but the permit to relocate it was cancelled in 2014. The station received a permit to re-license to the city of Jay, Florida in April 2017. No other technical changes occurred. This move put the station, from a technical standpoint, into the Pensacola radio market for the first time. On 20 June 2017, the station began simulcasting on Pensacola's WBSR (AM) and its translator on 101.1 MHz. WBSR previous carried ESPN sports programming. This marks the first time WOWB had a "local" signal in the Pensacola area.